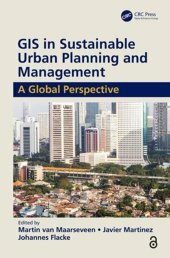 GIS Lounge: Free Urban Planning GIS Exercises - The book GIS in Sustainable Urban Planning and Management is freely available as an open access book or can be purchased in hard copy format. The six exercises, written for QGIS, are available from the GIS in Sustainable Urban Planning and Management: Exercises and materials page. Each exercise includes a PDF and downloadable datasets (QGIS project, shapefiles). USGS: "Geographic Information Systems," a 2002 poster is available for download in the Publications Warehouse. Patheos: The Most Sobering Thing about the Racial Dot Map - A careful look at the map from the University of Virginia built on 2010 Census data revealed...well, go have a look. Fast Company: 12 maps that tell the extraordinary story of 2018 - A surprisingly Esri-centric list of maps covers fires, opioids, elections, the olympics and more. Cartonerd Blog: Favourite maps from 2018 - Ken Field picks his favourites of the year. Esri: Hot Numbers - A story map, from the story map team, that explains that climate change is real. Space News: Planet to acquire software specialist Boundless Spatial - This article, based in part on this blog post and this press release, provides some context. I was especially happy to see this quite correct statement in the article: "Planet’s U.S. government group will merge with Boundless to create a subsidiary, Planet Federal, focused on selling commercial [emphasis mine] products to meet U.S. government requirements." Boundless has supported AP geography educators' attendance at Geography 2050 and offered software for students and educators via its Boundless Connect program. The plan is for Planet to keep "selected" staff; it's not clear if these education efforts will continue. CARTO: A Sales Engineer, via tweet, suggests educators and students currently using Fusion Tables explore the GitHub Student Developer Pack which includes CARTO. Coursera Blog: Here are the skills you’ll need in 2019 - By Jeff Maggioncalda, CEO Coursera lists six skills and of course the company has a MOOC or two for teach skill. One skill on the list: learning how to learn. Class Central: EdX Puts Up A Paywall for Graded Assignments - All of the major players now restrict access with a paywall of some kind. Be sure to read the fine print if you are looking for a truly free course. CCSU: 6 Continuing Education Trends to Watch in 2019 - CCSU offers an interesting list that's about the topic in general. CCSU does offer continuing education GIS courses. 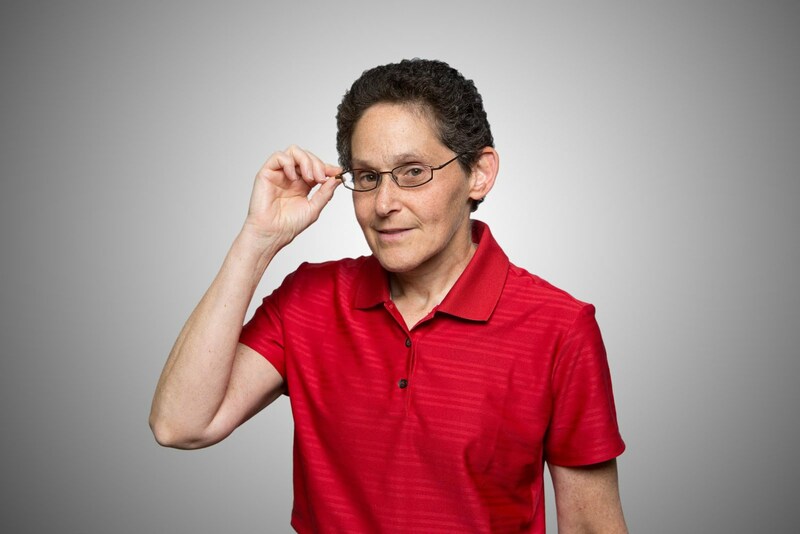 Hack Education: Audrey Watters has written her last Hack Education Weekly News. She's rather fed up with the state of things and writing a book about Teaching Machines. I for one will miss it; it's been a weekly "must read" for me for the last few years. K-State: UAS degree at Kansas State University Polytechnic Campus First in the Nation to Offer beyond Line of Sight Flight Operations to Students - "Kansas State Polytechnic's UAS flight and operations degree option is the first in the nation to introduce flying beyond visual line of sight into college curriculum. " The school has a waiver from the FAA. PointerView (West Point): Cadets display class projects on geospatial mapping - "Cadets presented projects on a variety of subjects such as detailing the migration of Syrian refugees to European countries, elk migration patterns in Yellowstone National Park, U.S Reliance on Foreign Trading Partners, Countries Spending the Most on Defense Spending and correlation between obesity and suicide rates in the Midwest and Michigan." University of Denver: Geography Degree Points Alumna to Her Passion - Alumna Leah Konrady leads One Region, a nonprofit dedicated to growing northwest Indiana's population and increasing its household income. UK: UK Geography Faculty Member Recognized for Teaching Excellence at SEDAAG`- That'd be Lynn Phillips. Ohio Weslyan: Building Community Through Geography - Janelle Valdinger is an undergraduate and graduate students invited to participate in January in the first national Workshop on Community Geography. Austin Peay: APSU GIS Student Rachael Perkins creates digital map of Austin Peay Through Time not Space - Rachael Perkins, who "arrived at APSU this fall as a nontraditional student with a background in geographic information systems (GIS)," built a story map of the university's history. Gulf Today: Dubai Municipality launches training centre using Virtual Reality Environment - "Dawoud Al Hajiri, Director-General of the Dubai Municipality, on Monday launched a smart training centre, which offers hands-on training using the Virtual Reality Environment. The Smart Training Hub, supervised by the municipality’s Geographic Information Systems Centre, is considered the first-of-a-kind in the Middle East for the city planning and engineering industry." Mount Desert Islander: Skippers program students gather in Northeast Harbor - The high schoolers in the program are gathering skills to address this years project theme, “How can technology contribute to a safe, healthy and sustainable fishing industry?” Students learned about GIS mapping with Gordon Longworth from College of the Atlantic and Val Peacock of the Rural Aspirations Project. CBC: Students learn about Indigenous people by stepping into a giant map - "It's the Canadian Geographic's Indigenous People's Atlas of Canada map which stretches 11 metres by 8 metres. It's so big that it couldn't fit in any of the school's classrooms so it was placed in the gym." New Maps Plus: A new course, Social Impacts of New Mapping, is a seminar introducing social and cultural issues that have emerged alongside the growth of digital mapping and location-based services Via @newmapsplus. Lidar Magazine: What Do Geospatial, Northeastern University and Silicon Valley Have in Common? - The faculty lead of the program at Northeastern answers the question. NEGIS: Applications are due January 11 for the scholarship for New England students. GTCM: Micah Babinski, GISP PMP noted on LinkedIn that he had a poster of the Geospatial Technology Competency Model pinned up in his workspace. Several people responded that they were not familiar with it. Esri: I encourage educators to contribute to this survey about ArcGIS Online accessibility. URISA: The Urban and Regional Information System Association (URISA) is offering an introductory membership offer for new and previous members at $100 (normally $195/year) or $150 for two years. The offer is good until the end of March. Miller Mountain: End of year sale Open source GIS courses. All (Udemy) courses are available for $11.99 until 2019. All the best to readers for the holidays and the new year! Look for the next issue of GIS Education Weekly on January 3, 2019. Today we say farewell to our beloved Dr. Gary Jeffress from TAMUCC. After more than 25 years at TAMUCC, Gary is retiring to pursue more time to travel. In addition to serving as Program Director of the Geomatics program, Gary also served as Director of the Conrad Blucher Institute and professor. He was president of the Texas Land Surveyors and instrumental in upgrading the professional requirements for the RPLS to include a Bachelors degree in Science. Dr. Jeffress served on the 2010 industry board that successfully completed the US Department of Labor's Geospatial Technology Competency Model (GTCM). Without his carefully worded compromise during the last morning of the conference to bring the opposing Surveying and Geography factions together, this seminal document simply would remain incomplete. I know. I witnessed it personally. Finally, I want to say a personal thanks to dear friend Gary for shepherding my own son through his program at TAMUCC and into a successful career in GIS and Land Surveying. Countless young professionals got their start because of the phenomenal work and inspiration Gary provided. I look forward to serving him beer aboard my sailboat soon.